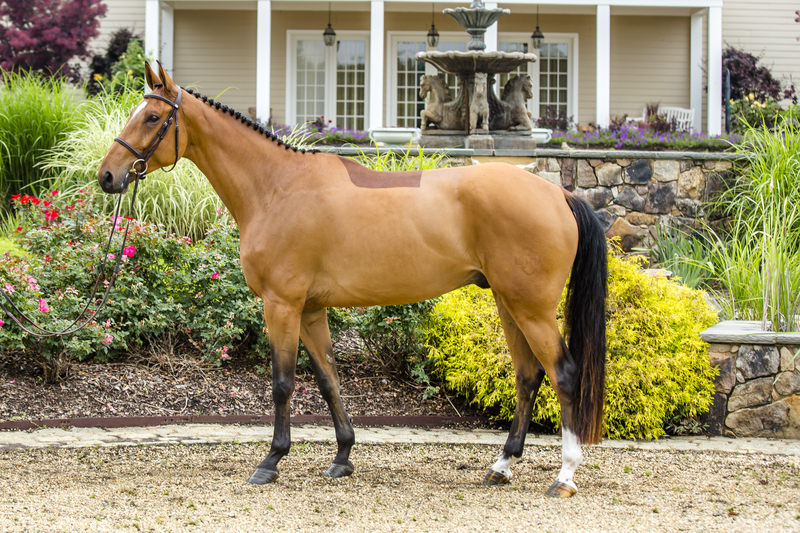 Quintayo HS is a 2012 Gelding by Quinar out of our mare F-Laureen 016. He scored as Premium at the 2012 AHHA inspection with a score of 8 (type) and 7 ( movement). He’s a lovely and modern horse, who boasts the exceptional qualities that Quinar stamps into his offspring. He is full brother to our 2012 Champion Mare, Danke Schoen HS. Quintayo is an excellent prospect for the professional jumper rider with his easy attitude, balanced movement and exceptional jumping technique.